Liberation News screenshot from viral video of warrantless entry and arrest. 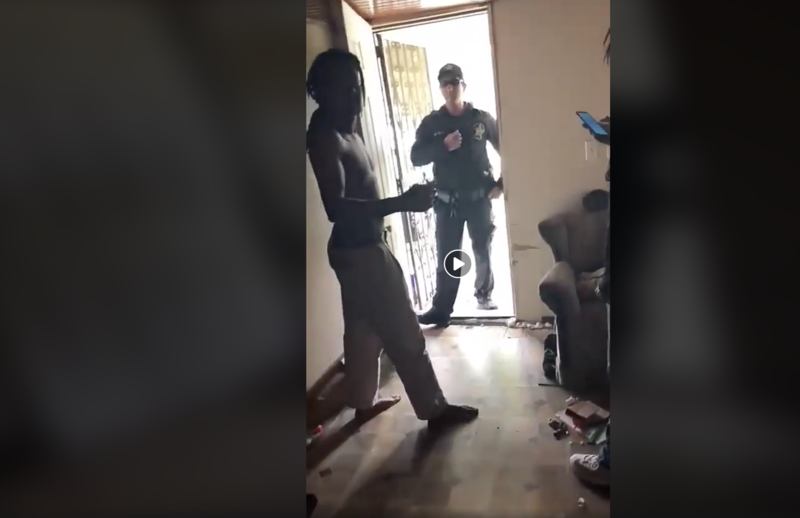 On March 17, police officers with the Escambia County Sheriff’s Office in Pensacola, Florida were recorded illegally entering a home without a warrant. In the video, the victim of this crime repeatedly requested that officers not enter his home without a warrant. 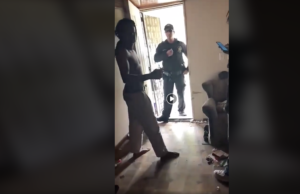 Ignoring his requests, police then entered his home to harass, manhandle, and eventually arrest him for “resisting arrest without violence.” The recording, which you can view here, was shared over 1,500 times on social media eventually catching the attention of the local news outlets, prompting the Escambia County Sheriff’s Office to issue a statement that an internal investigation would be conducted.